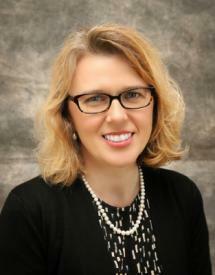 University of Illinois Extension for Logan, Menard and Sangamon Counties (Unit 16) has a new Director. On July 6 Terri Miller took over the reins at Extension after the recent retirement of John Fulton. Miller grew up in the Nokomis, IL area and began her career as a teacher at Litchfield High School. She then went on to head up the marketing department at an auction and real estate company where she helped the firm establish one of the first live on-line internet auction services in the nation. After six years in the auction business, Miller opened her own website design and marketing firm which she owned and operated for over ten years, and was voted the 2007 Hillsboro Chamber Member of the Year. Miller also worked as a deputy clerk in the Montgomery County Clerk’s office where she programed election ballots “in-house,” resulting in substantial savings for the office. Before accepting her current position, Miller headed up publicity and promotional duties for Extension Unit 18 serving Christian, Jersey, Macoupin and Montgomery counties. Miller holds a Master of Public Administration from the University of Illinois Springfield with a certificate in Community Planning. She received her undergraduate degree from Southern Illinois University at Edwardsville. Miller is a member of the Pi Alpha Alpha Public Administration honor society and was selected as class Marshal. She also received the UIS Alumni Association Student Leadership Award, and is a member of the American Society of Public Administration. Miller resides on her family farm outside of Hillsboro with her two daughters Alexandra and Lauryn and their many farm animals. Terri encourages the public to reach out with questions, suggestions, and concerns by contacting her at the Logan County Extension office at 217-732-8289, the Menard County Extension office at 217-632-7491, or the Sangamon County Extension office at 217-782-4617 or via email at terrim@illinois.edu.